New building on Seurasaari in Helsinki: An American-led team uses architecture to explore Finland’s national epic. Hollywood couldn't have done it better. Musicians and dancers turned up for the Kalevalakehto building's opening ceremony, which also signalled the start of Helsinki Design Week 2010. “Is there a deep mythology I can get into while I’m there?” asked American architect Travis Price prior to visiting Finland in early 2009. 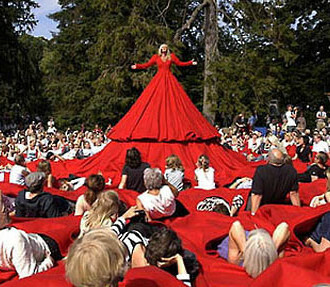 The question eventually gave rise to a unique new building to kick off Helsinki Design Week 2010. Price was coming to Finland to get a “live” view of work by architectural greats Eliel Saarinen and Alvar Aalto, and to check out the world of Finnish design. When he brought up mythology, he says he immediately received a flood of email, all pointing to the Finnish national epic Kalevala. He chose the Kalevala, a collection of eastern Finnish oral-tradition stories first compiled on paper in the 1800s, as the object and subject of one of his Spirit of Place projects. 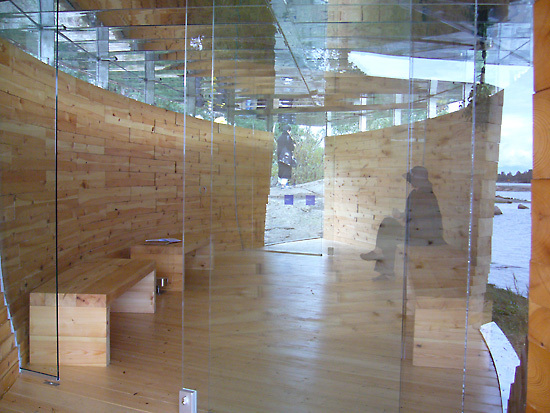 During its 17-year history, Spirit of Place has used architecture as a medium for exploring mythologies, ecologies and modernism in countries from Canada to Peru and from Uganda to Ireland. Price mentored an international group of architecture students as they went through a range of ideas and models before arriving at a design that would later be built on the Helsinki island park of Seurasaari and named Kalevalakehto. 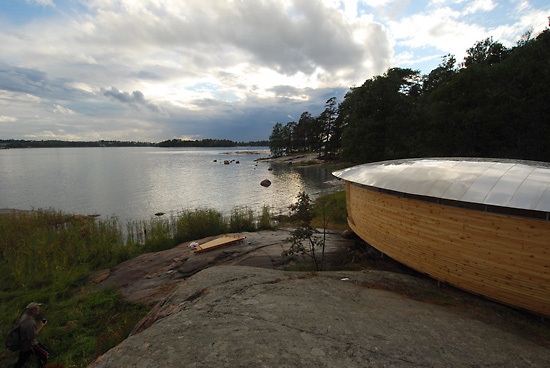 While symbolically connected with the Kalevala in many ways, Kalevalakehto’s combination of wood, steel and glass and waterside location can also be appreciated without knowing about themes such as the birth of the world, the mysteries of the Sampo or the character Väinämöinen. The name of the building officially appears in English as “Kalevalakehto: Shaman’s Haven of the Kalevala.” You won’t find Kalevalakehto in your Finnish-English dictionary, though. “I’m proud to say that, though I can’t speak Finnish, we’ve invented a new Finnish word,” says Price with a smile. The segment kehto signifies a cradle or protected space, and so the symbolism thickens, verbally as well as visually. Kalevalakehto “is alive,” he says, meaning that the wood is still settling. “Every two months someone has to come and adjust the bolts with a lot of love.” The unique structure looks set to stick around for a long time to come, although its current temporary permit runs out in 2013. “The Eiffel Tower is still on a temporary permit,” Price claims. And Eiffel probably didn’t even know anything about the Kalevala. 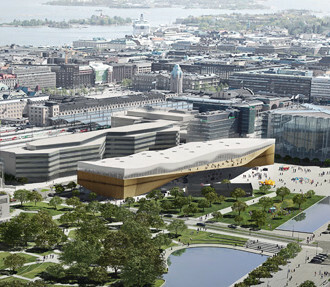 Pioneering projects in Finnish architecture are earning global attention and setting new trends. 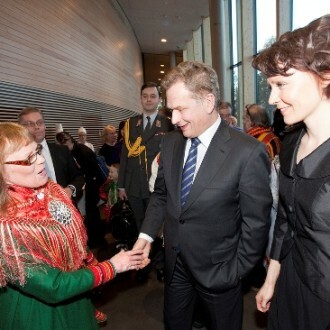 Finland’s indigenous Sámi celebrate the unique new Sajos cultural and political centre (see Northern Lights video). 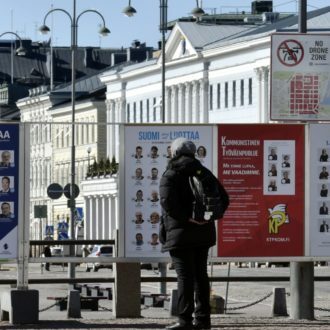 On April 14, 2019, Finland holds its parliamentary election, with about a dozen parties that have a realistic chance of winning seats. Coffee and interactive online resources (often referred to as “election machines”) may play a part.